An English proverb rightly says that all wealth begins in mind. It is our mind that needs to perceive that a goal is achievable. Once it does so, the journey towards achieving that goal starts. So, to be on the right path of the wealth, you need to reprogram your mind so that it make wealth an internal reality first. The question arises as to what stops our mind to let us become wealthy while we know that money is always important for us to run our life properly. It is simple to understand. If you know what you want to achieve through your conscious mind but your unconscious is not aware of it, then it becomes a difficult journey to achieve that goal. Also, in case, like money, if you have some negative beliefs that may be lying in your mind without your knowledge, this negative belief will not let you become wealthy. This is one of the major reasons for most people to remain moneyless or poor as they fail to explore their deep beliefs about money. What you need is to explore these hidden deep unconscious beliefs about money and change or transform them as soon as possible. Here is the chance for you to explore your beliefs, values and purpose as well to make yourself rich. This chance comes in form of my latest book called 'Money NLP' published by Midas Touch Publication. 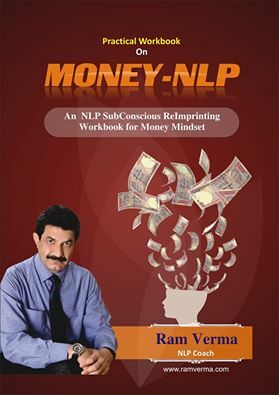 To get a copy or more, you can contact Chetan 9560761051.